Home › Samrakshanam › COMPASSION TOWARDS COW! 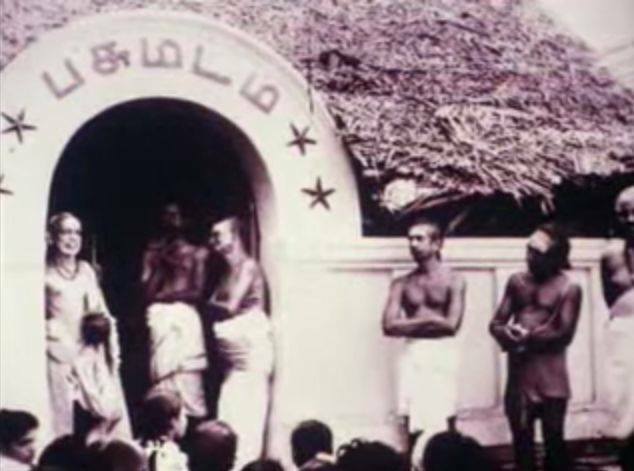 When Maha Swamigal was in Tenambakkam, I used to go there. With me came my two friends, who were engaged in the sacred work of building the Karumariamman temple in Samiyar Thottam, to seek his blessings. “You know what is samashrayanam?”, he asked me. What could I say? I did not reply anything. But then, two months later, for some reason, those two people, resigned from their positions. They engaged me in that work and made me a secretary. All Maha Periyavargal’s anugraham. With donations, that temple was built at a cost of two lakh rupees, and the kumbabhishekam too took place in kolahalam–grand fanfare. The very next day that temple kumbabhishekam was over, I resigned the post of secretary of the sacred works committee, came to Periyavargal and informed him. “You have the skill to collect?” he asked me. What could I say! I just kept quiet without saying anything. He gave me this order: “It’s of much puuyam, if the cow is given Aharam–food, our ancestors and elders have said. Informing the neighbouring houses, you visit them, collect the peels of vegetables that get collected on Thursdays and Fridays, and bring them here. They can be fed to the cows.” I continued to do that kaingkaryam for a long time. 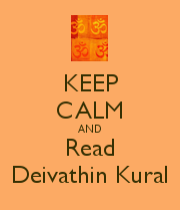 Because of this, I had the bhagyam to have darshan of Periyavargal every Saturday. ‹ `GO’, HE SAID, IT WENT AWAY! Thanks. Whenever possible, I bring such vegetable skins and feed them to the cow near my office. The cow seems very much calm and doesn’t make any sound. Blissful ! Excellent! 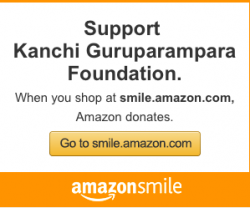 With Periyavas grace let every individual in this blog take a PLEDGE TO SAVE AT LEAST ONE COW. This can be done by supporting Gosala’s and help them rescue a cow from slaughterhouse. Please read the following link on how to do this. Ram Ram.